There is a lot of work, time, and effort that goes into emergency preparation projects. If you break it down, complete preparation is achieved by accomplishing several smaller tasks. If you look it from this perspective, the enormity of completing your emergency preparedness plan may not feel so overwhelming. 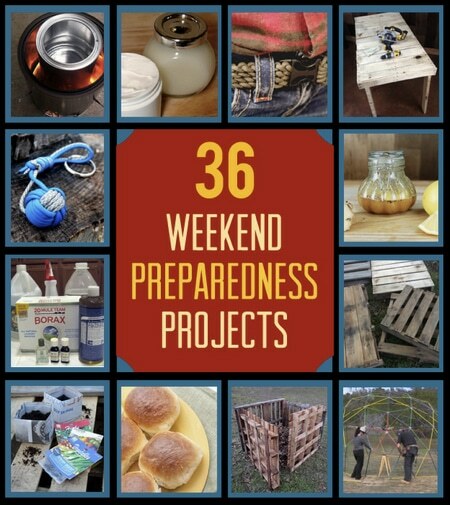 There are several projects that easily can be completed over the course of a weekend, and DIY Ready has compiled a list of them that includes items for gardening, food prep, survival tools, and other survival basics. After completing what you need from this set, move on to another essential set of 36 More Weekend Preparedness Projects here.